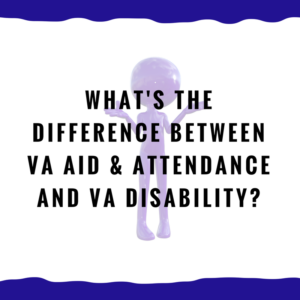 What's the difference between VA Aid & Attendance and VA Disability? 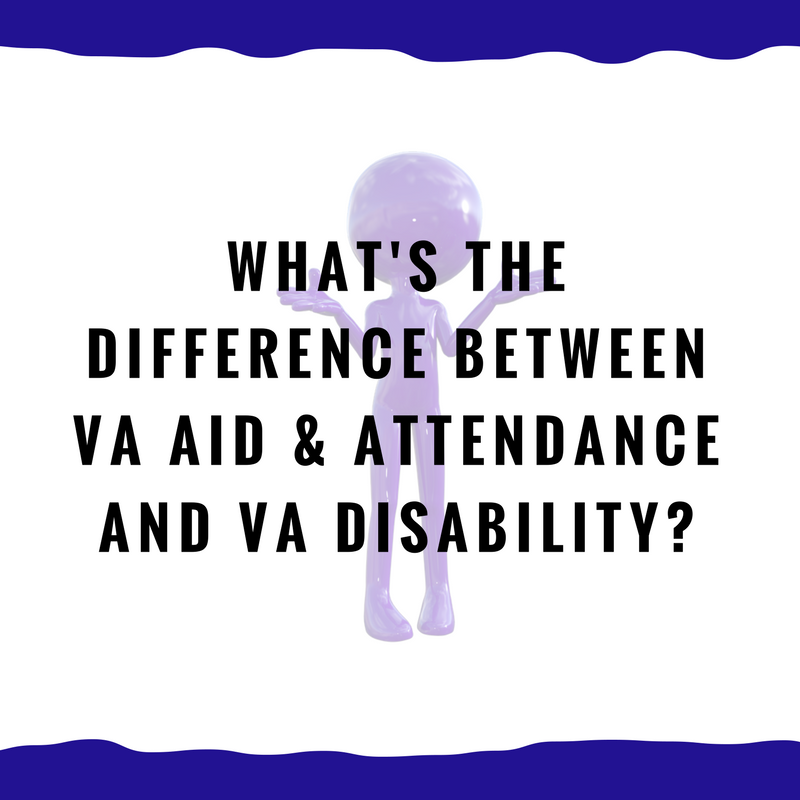 What’s the difference between VA Aid & Attendance and VA Disability? When we’re talking about the VA in terms of helping people who are suffering from some type of illness or injury, there are two major programs. VA Disability and VA Pension (Aid & Attendance). Let’s talk about these one at a time. The first is the VA disability, also known as compensation. VA compensation is for someone is dealing with a service-related injury or illness. Let’s say we were in the military and we were shot or we were in a car wreck on base, or we contracted an illness while we were in the military, etc. Whatever the injury or illness happened while we were in the military would be taken care of by VA disability. Again, any illness or injury that comes from military service should be taken care of by VA disability. (Certainly, there are exceptions but the above is the general rule). The other program is called the VA Pension, or VA Aid & Attendance. We talk about this in other articles as well. It’s an unfortunate name because it gives the impression that you have to retire in order to receive this. Really, that’s not the case at all. This program is non-service related. That means that you were in the military, you weren’t injured or ill, and you get out of the military. Then 10, 20, maybe even 60 years down the line you have a disability (whether it’s an injury or an illness) that prevents you from taking care of yourself. Any illness or injury that is not service related could fall under the VA Aid & Attendance. This benefit can give $25,000 a year (or more) tax-free to a married veteran. Even if you’re a surviving spouse of a veteran, you can receive around $13,000 per year. It’s an incredible benefit that the VA offers to veterans for long-term care. We talk about requirements such as being a war-time veteran and such in other articles. Just understand that VA disability is service-related, and the VA Pension is non-service related. If you have any questions, or you would like more information, feel free to get in touch with us. We would be glad to chat with you and answer any questions you may have. You can reach us by phone at 1-205-879-2447, or you can fill out a contact form and we will get in touch with you.